Driven by a passion for design and a fierce loyalty to their home state, Live. Love. Michigan. 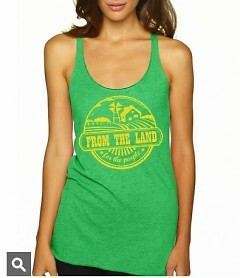 strives to make it in the clothing business and bring Michigan up with them. Lansing-based startup Live. Love. Michigan. designs clothes for nonprofits in the state.. /Live. Love. Michigan. Live. Love. Michigan. drew inspiration for this design from World War II-era "victory garden" posters. /Live. Love. Michigan. The Feeding America West Michigan collection includes men's and women's designs. /Live. Love. Michigan. Community investment is an afterthought for most companies, something they work into their business plans after they’ve gotten established. For Live. Love. Michigan. it was the founding principle. A marine biology student at Michigan State University, Jake Prusakiewicz’s true love was graphic design, and the Dexter native wanted to use that passion to better his home state. “He kind of got fed up with the way Michigan was being portrayed in the news. He didn’t like the bad press,” said Abigail Ehn, campaign manager for Live. Love. Michigan.’s Hold on to Hope nonprofit project and Prusakiewicz’s high school classmate. Ehn, Prusakiewicz and designer Nathan Leindecker constitute the company’s complete staff. On March 17, Live. Love. Michigan. 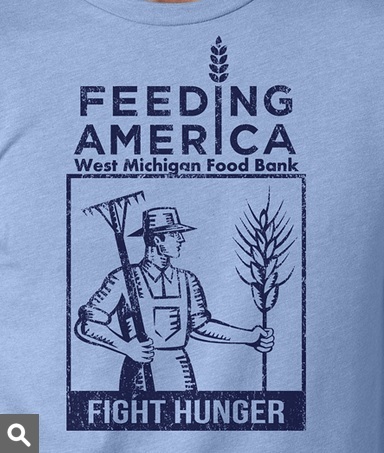 rolled out a line of shirts, sweatshirts, tank tops and bags custom-designed for Feeding America West Michigan Food Bank through Hold on to Hope. 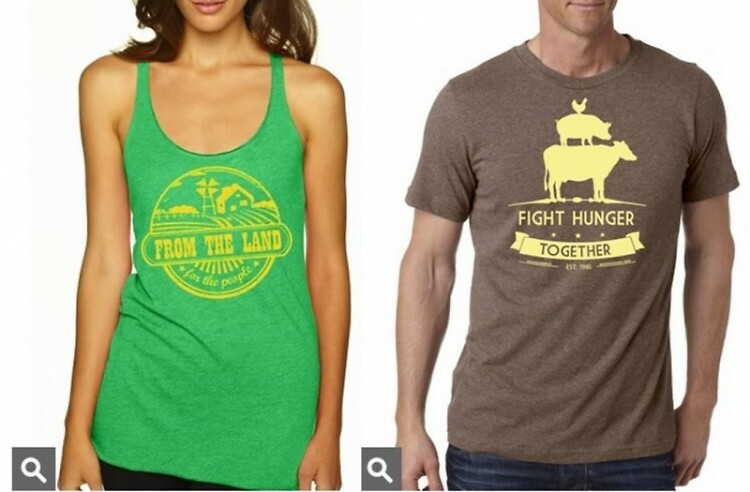 Created at no cost to the organization, each shirt will return half of its sale price to the Food Bank, funding the distribution of approximately 50 meals to food-insecure Michiganders per shirt. Live. Love. Michigan. has raised more than $3,000 for four Michigan-based nonprofits since December. The state’s charities could certainly use the help. Michigan’s unemployment rate has been higher than the national average for decades. Poverty is at 16.3%, its largest city is bankrupt, and demand for food assistance is higher than ever, at least in West Michigan and the Upper Peninsula, where Feeding America West Michigan distributed a record-setting 25.6 million pounds of food in 2013. The question is, why is Michigan worth fighting for? “We really love nothing more than Michigan,” Ehn said. “It’s home. Being from Dexter, I think we both learned the … importance of a tight-knit community. “We don’t need the bad press about Detroit being bankrupt or the lack of jobs or the housing market crash because we believe in it,” she said. Feeding America West Michigan’s CEO Ken Estelle believes Michigan is equal to the task. Visit holdontohope.org to see Live. Love. Michigan.’s line of Food Bank clothing.